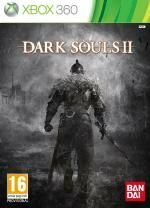 Great Challenges Await The Iron-Willed In Dark Souls 2 Dark Souls II promises to continue the Dark Souls legacy with unrelenting challenges and the sense of empowerment that Dark Souls players hunger for, offering devilish new obstacles to be overcome. As well as the single-player campaign, a revamped server-based multiplayer experience arrives in Dark Souls II, putting Dark Souls' distinct and twisted - twist on playing with others online. This is not a multiplayer mode for the faint of heart, but if you have the tenacity and sheer force of will, great rewards await you!